Summer is upon us! In fact, yesterday was the longest day of the year – that means kids are out of school, the weather is warm, everyone is gearing up for those fun camping trips, and more! 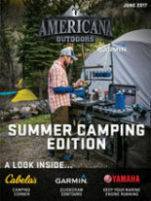 In The Summer Camping Edition of Americana Outdoors Magazine. Cabela’s will prepare you for any type of camping you have planned – including outfitting you with everything you need to go fishing while you’re in the outdoors. 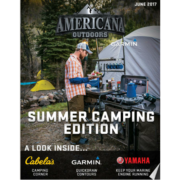 We’ll share some recipes with our Bradley Smoker, give tips on Garmin’s QuickDraw Contours, help you maintain your Yamaha motor, choose the right Arctic Ice for all your needs, and….we’re starting to think about deer season being just around the corner, so we’ll also give you tips on deer feed management. 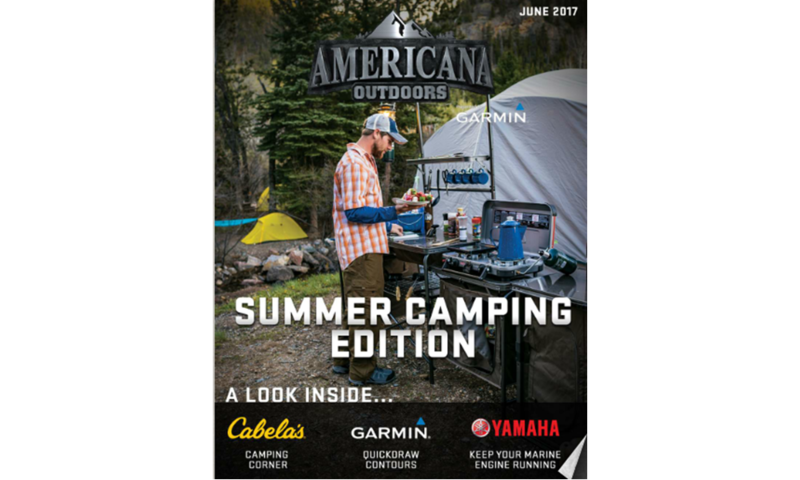 This is one of the most exciting, informative editions of Americana Outdoors presented by Garmin E-Magazine – ENJOY!